Summary: Sherfinski is an assistant professor in the Department of Curriculum and Instruction/Literacy Studies at West Virginia University. Chesanko is a doctoral student in the same department. In this qualitative study, the authors examine gender matters in Evangelical homeschooling families of various sizes. Summary: McVicar, who teaches in the Religion department at Florida State, here provides us with a book-length biography of one of the most important early U.S. homeschooling leaders. Rushdoony is not always put in the same tier of standout leaders as John Holt and Raymond and Dorothy Moore, but I argued in my 2008 history of the movement that he should be. McVicar’s lively and detailed account of the life, ideas, and influence of Rushdoony confirms me in my original belief and offers a wealth of new information not only about Rushdoony and homeschooling but about his broader significance for post-WWII American education, politics, and law. Summary: Ingersoll is in a unique position to write a book like this. As a young woman she was married to one of the sons of prominent Reconstructionist Bob Thoburn and was very active in several Religious Right organizations. She and Mark Thoburn divorced in the early 1990s and Julie spent most of that decade earning a Ph.D. in Religious Studies, eventually becoming a professor at the University of North Florida. Her dissertation was published in 2003 as Evangelical Christian Women: War Stories in the Gender Battles . This is her second book. Summary: Cardus Religious Schools Initiative released their first survey in 2011 (review available here). They later released their second study in 2014 (review available here). 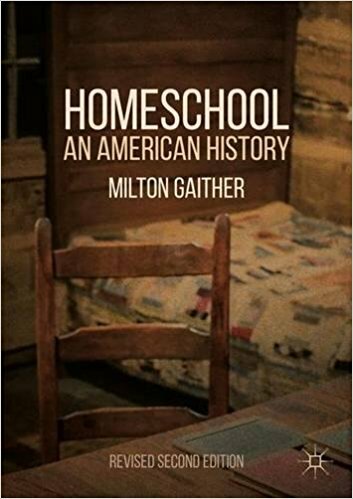 These studies provide rare randomly sampled data about young adults who had been homeschooled in the United States. In this article David Sikkink and Sara Skiles analyze data from both studies to draw conclusions about the outcomes of homeschoolers in areas like the development of moral and religious values, family relationships, educational outcomes, and civic life.